I always joke I have two categories of friends; my real friends and my blogging friends. 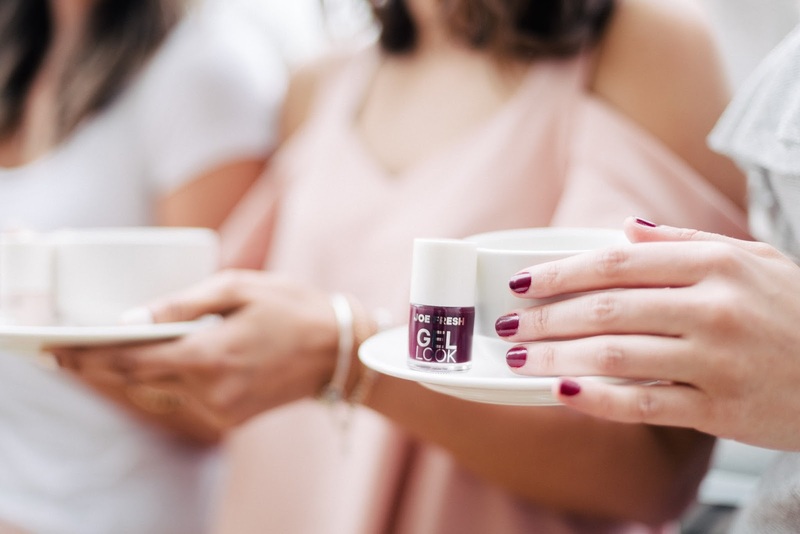 My two worlds never seem to cross, but my blogging friendships are just as important to me as my everyday friendships. That is why it is so important to take some time to nurture my blogging friendships and put more time into them. 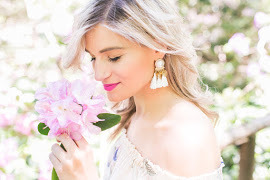 Two weekends ago I had a mini staycation at the Grand Hotel with some of my favourite blogger friends; Zeba from Ella Pretty Blog, Jenelle from Nelle Creations, and Mandy from Sparkleshinylove. There are honestly so many fun things to do in Toronto, but seeing we are always out and about attending Media Previews or taking outfit photos, we decided to mostly lounge around the hotel and make the most out of staycation especially since the hotel was so nice. Since there were 4 of us we got one of the loft style rooms. The two-storey loft we stayed in was out of this world. Spacious, yet cozy, with everything you need for a girls weekend. From plush robes to comfy slippers to even coffee; the perfect setup for a slumber party. The bottom floor of our loft at the Grand Hotel had a living room area with a pull out couch, a spacious dining room area, a bathroom and a fully equipped kitchen for the cooking enthusiasts. This level of the loft also has its own private terrace where you can chat with your girlfriends over a glass of wine or enjoy your morning coffee. Upstairs there are 3 spacious king size bedrooms with their own en-suite, as well as an office area if you are planning on doing some work and are in need of a workspace. Below is a picture of my bedroom. 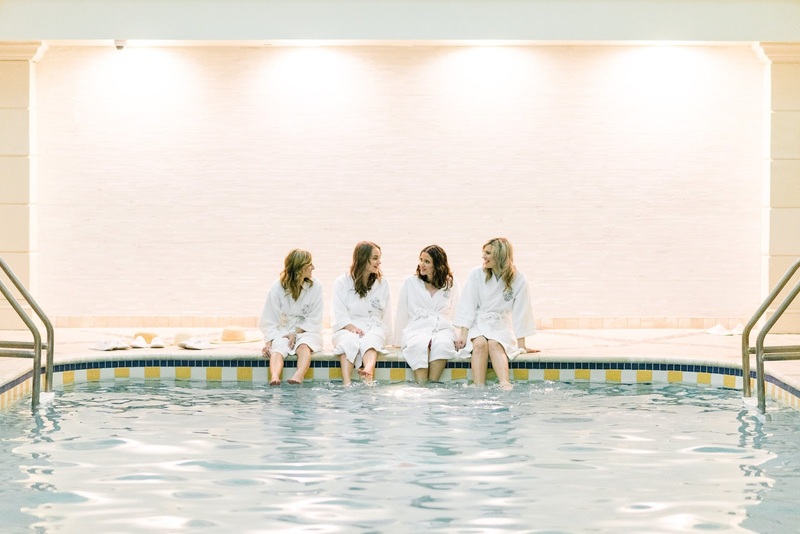 A hotel that has a pool definitely makes the staycation ever better. 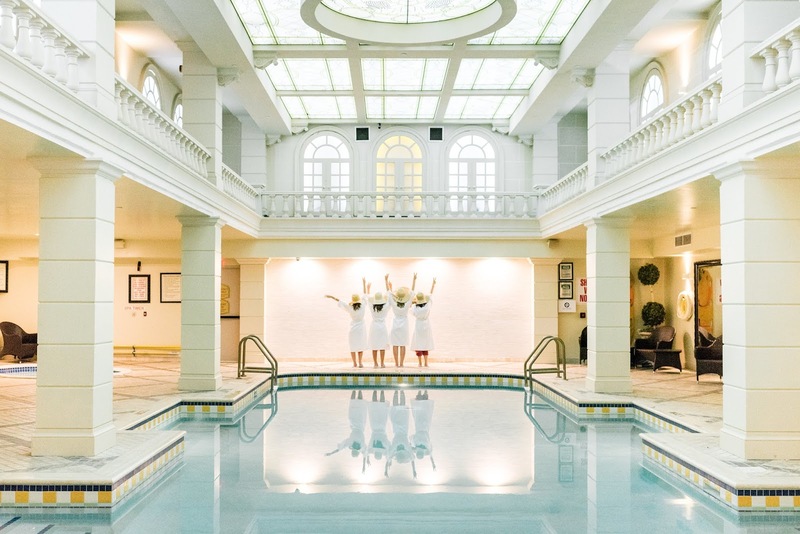 The hotel has both an indoor pool and an outdoor jacuzzi at the rooftop terrace with a spectacular view of Toronto. The indoor pool wasn’t crowded at all. In fact, when we were all by ourselves which was amazing. Did I mention there is a spa too? Another feature I loved was a little shop the hotel has were you can buy all of your snacks. As if the food we ate was not enough we all decided we needed midnight snacks while lounging in our hotel room. Even though the store was closed when we went, the girl working at front desk kindly opened the store for us. Talk about Hollywood star treatment. Packing comfortable items while on vacation, whether it is a mini staycation or a full blown holiday, is a must. Yes, I do love my boyfriend jeans but honestly nothing is as comfy as a pair of lounge pants and I like having the option to wear comfortable pants while staying at a hotel. The girls and I lounged around the hotel quite a bit and I am so glad I packed my orchid coloured Lazy pants. What I love about Lazy Pants is that you feel comfortable without sacrificing style. 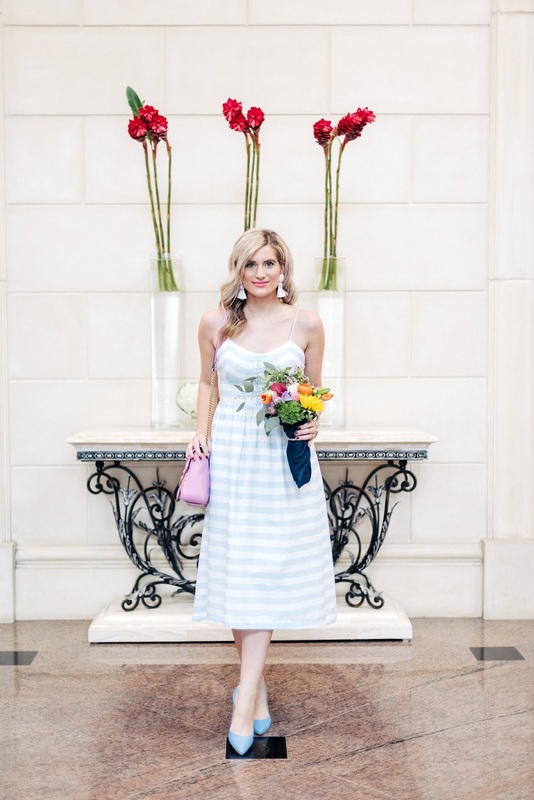 There is no girls’ weekend without the perfect dress. 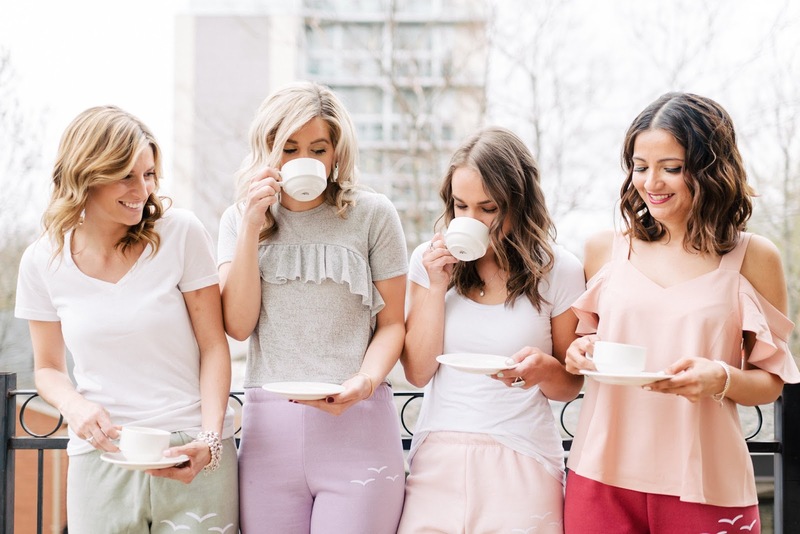 We loved lounging around in our lazy pants, but we love being in touch with our feminine side so we switch to our Guess dresses for part of our outings. I love how GUESS has a dress for everyone regardless of style. As soon as I saw the girls and the dress they were wearing I instantly said for each one of them “That is so you”. Each GUESS dress definitely complimented our personalities and our style. 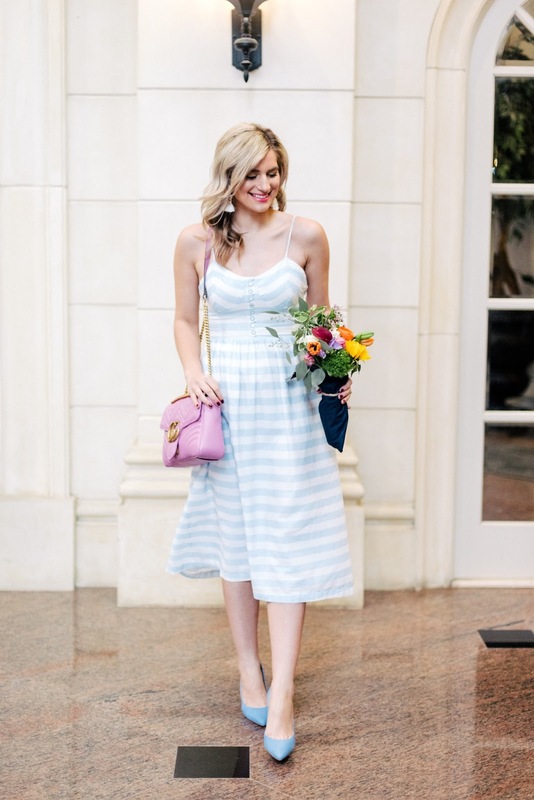 I picked the beautiful Catarina stripe dress.I love the fact that it has the right amount of puffiness and flare, and the material is very breathable which is essential for spring and summer. Kam tells me I should wear more short dresses, but I am obsessed with midi length dresses like this GUESS dress. Midi dresses are the epitome of femininity. I don’t go anywhere without my beauty bag. 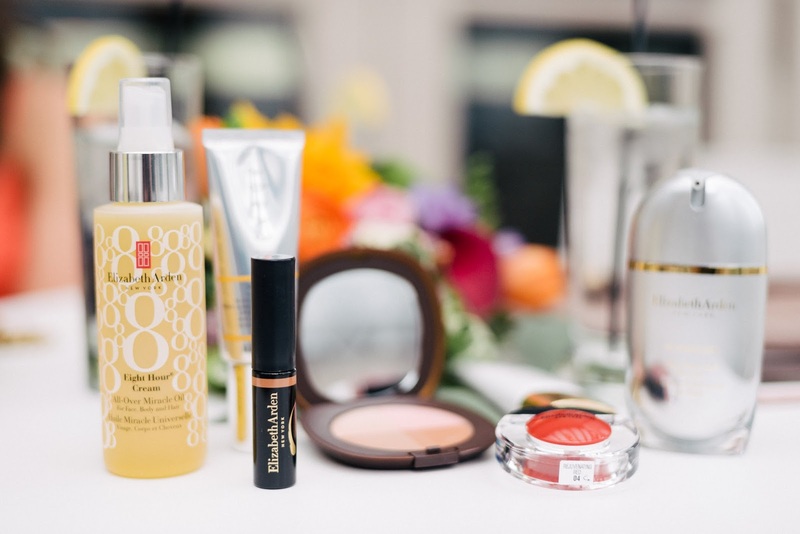 Apart from my makeup essentials, we also had some new Elizabeth Arden products that I have been dying to try out so we all tried the products during our girls’ staycation while getting ready to go out for dinner. 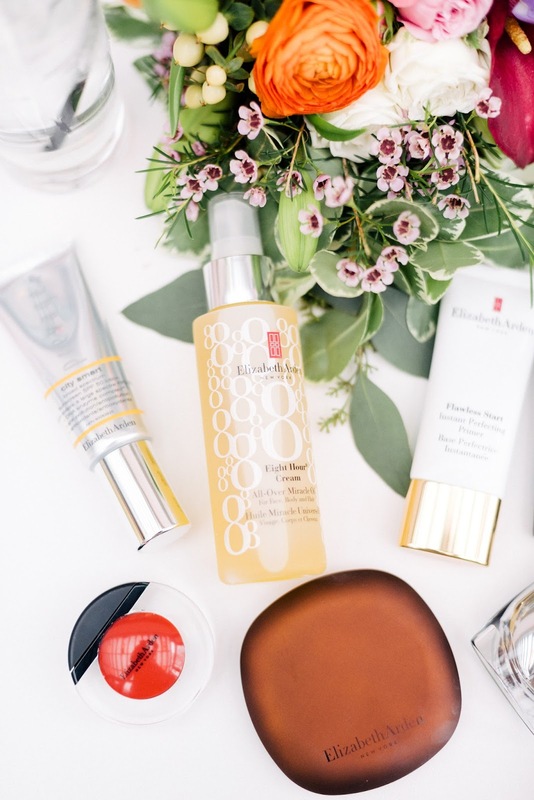 I created a fun infographic for you to see what our favourite Elizabeth Arden products are that you need to give them a try. Since I didn’t have time to do my nails the night before, I quickly grabbed my favourite Joe Fresh Gel Look Nail Polish (8 shade collection, all available at Loblaws or Real Canadian Superstore). You can find me wearing this long lasting Raspberry Tart polish all year around. This shade makes the perfect in between nail polish colour you can wear both in winter and summer. 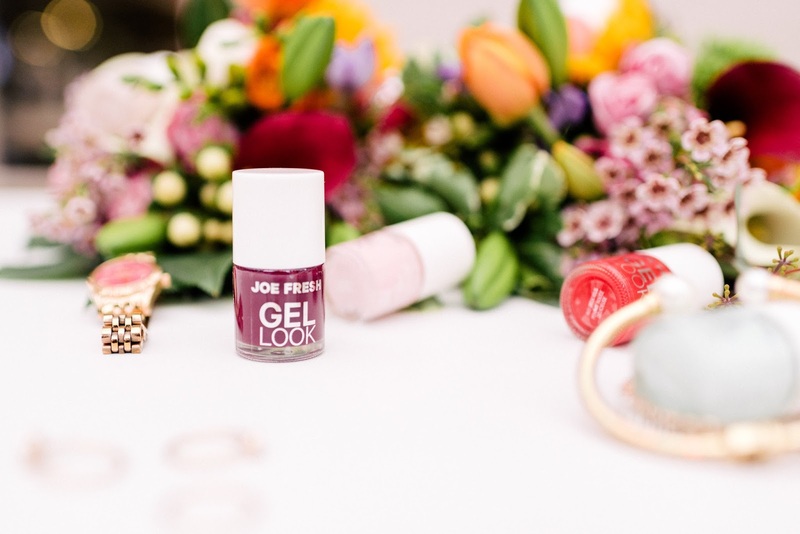 Also, if you are terrible at doing your own nails like I am, you will be relieved to know this Joe Fresh nail polish has the perfect brush that lets you paint your nails smoothly without making a huge mess in the surrounding area of your fingernails. Some of my other favourite shades are: Cheesecake, Cotton Candy, and Key Lime Pie. I started using göt2b products when I was in highschool. Back then the göt2b glossy was my favourite thing. Nowadays I use the new göt2b Volumaniac Bodifying Hairspray and Volumaniac Bodifying Mousse. The girls and I all got ready before heading out to dinner and my hair looked amazing. göt2b Volumaniac Bodify Hairspray gave me crazy volume for hours and even the hold was amazing. My hair was still intact the next day I woke up. I don’t like sticky hairspray and I found the göt2b Volumaniac Bodify Hairspray to have the right amount of stickiness. From time to time I also like to use mousse for a natural high hold with elasticity especially when my hair is curly. Not sure how to use mousse? Shake well before use. This is a very essentially step in order for your mousse to come out fluffy and not in liquid form. Pump a fluffy dollop into hand and distribute evenly through damp hair. Blow dry or style as usual. When you are a blogger you quickly learn that flowers are essential to any outing if you want to make your pictures more interesting. 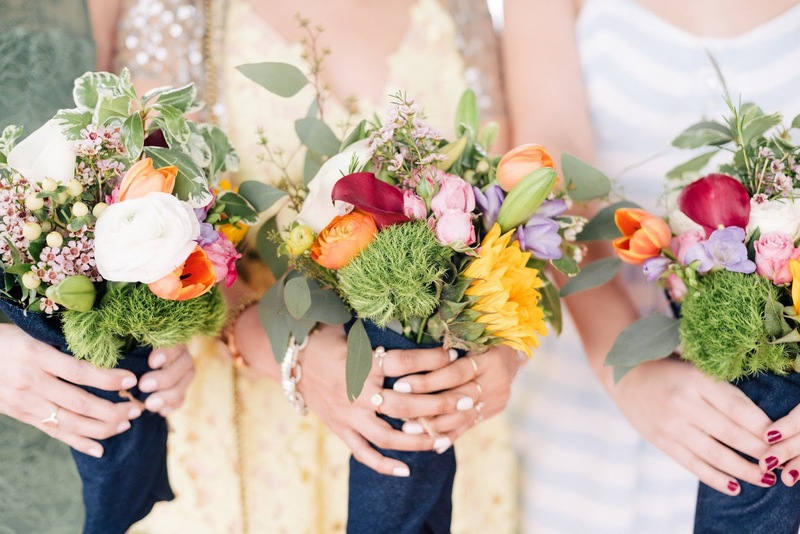 I absolutely adore Tonic Blooms with their signature denim wrapping, and also how colourful their bouquets are. Another personal favourite from Tonic Blooms is The Essie Bouquet . Stay tuned next week when we share what we did on Sunday afternoon. Another fun day!